The son of Cleveland Cavaliers owner Dan Gilbert is set to undergo a major brain surgery this week at a Detroit-area hospital, according to ESPN. Nick Gilbert, 21, was born with a condition called neurofibromatosis, more commonly known as NF, which causes tumors to form on nerve tissue. 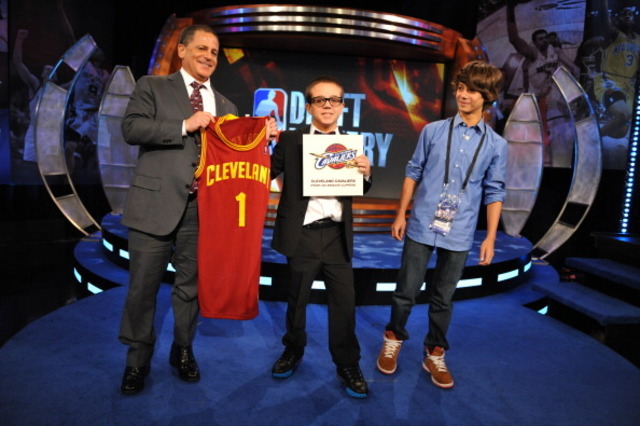 Gilbert became known to Cavs fans when he served as the team's representative at the 2011 NBA Lottery wearing a bow tie and thick, dark-rimmed glasses. That was the draft the Cavs snagged Kyrie Irving at No. 1. More than 10 years ago, Gilbert had one life-saving brain surgery. He has undergone chemotherapy treatments. The Cleveland Cavaliers offered support to Gilbert on Twitter as he prepares to undergo surgery.